Books still make excellent Christmas gifts and while there are many great Christmas books, and no list is truly complete, the publications below attempt to reflect truth in Christian thought and history. 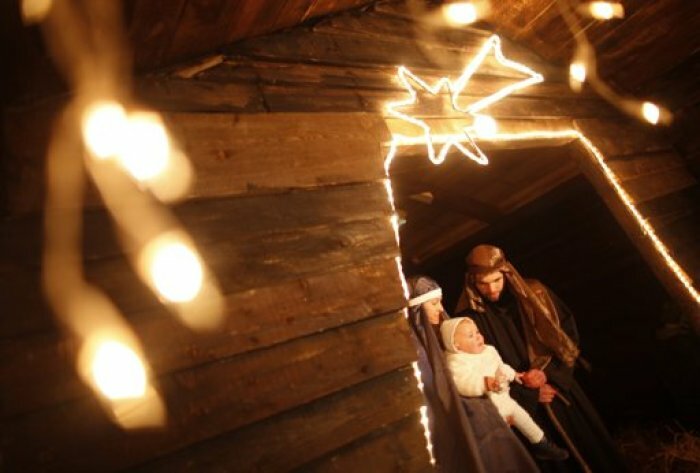 With the rise of secularism in the Western world, the true meaning of Christmas is all the more important. Each of these books help reflect that truth in meaningful ways. Perhaps there is no better book on explaining the deeper truths of the incarnation of Jesus Christ than Athanasius's essential On the Incarnation. The work written in the fourth century was singled out by C.S. Lewis for its importance in which he wrote his own introduction to a 20th century translation. This book offers deep theological reflection by a host of history's greatest theologians and thinkers. Martin Luther, Bernard of Clairvaux, Dietrich Bonhoeffer, and Henri Nouwen are just some of the voices from the publication. Treasure in an Oatmeal Box is primarily targeted toward younger readers but can be ready by anyone. The book focuses on a special child and the importance of giving and the true meaning of life. It has a strong Christian worldview and will challenge readers to alter their life and decision-making. A British children's book author, Lloyd-Jones is a member of Tim Keller's Redeemer Presbyterian Church and authors some of the most profoundly Biblical children's work. The book is often celebrated for its Christocentric focus and for its holistic focus on Scripture. "I would urge not just families with young children to get this book, but every Christian–from pew warmers, to ministry leaders, seminarians and even theologians, says Keller. "Sally Lloyd-Jones has captured the heart of what it means to find Christ in all the scriptures, and has made clear even to little children that all God's revelation has been about Jesus from the beginning–a truth not all that commonly recognized even among the very learned," he adds. Torrance is one of the great Protestant Reformed theologians of the 20<sup>th century. Much of his theological focus emphasizes the significance of grounding theology in Trinitarian thought. This book, the first of two volumes, is a compilation of lectures Torrance gave on Christology at the University of Edinburgh. Torrance is well known for his Christocentric theology and deep-thinking systematic theology. On the importance of incarnation, Torrance writes, "This is a doctrine found everywhere in the early Church in the first five centuries, expressed again and again in the terms that the whole man had to be assumed by Christ if the whole man was to be saved, that the unassumed is unhealed, or that what God has not taken up in Christ is not saved." A heavy emphasis for Torrance is reminding readers that thankfully Jesus has done all the work for our salvation and in assuming humanity, he has already united Himself to us.